Huge feature in this release is the ability to stream cameras to the Home Assistant front-end, as well as other devices.Jason Hunter, who has done an amazing job will be joining us in the next episode to help us break down this feature. Want to turn all the lights in a room off? Now you can! Spoiler alert: Doesn’t tell you the time of a flight! Adds a sensor to Home Assistant, allowing you to use an invisible laser to measure distance with millimeter resolution. If you’re managing your Zigbee network directly from Home Assistant, you’ll now be able to define direct binding between remotes and lights. This allows you to set remotes like a Philips Hue wireless dimmer switch to directly control a Zigbee light, even if Home Assistant is offline. If you manually configure auth providers and want to use legacy_api_password auth provider, you need to configure the API password there instead of under the http section in your config. If you just put it under http, know that it deprecated and you will need to move to the auth provider if you still want to use api_password as authentication in the future.Jason Hu (Awarecan) noticed that most people still using API password was because of the manual skill. He updated the documentation to show how you can actually use the Home Assistant auth to authenticate. Configuration for the Netatmo platform has been changed to support multiple devices, and multiple homes as well. If you’re using this component, you’ll need to update your config. current_operation will no longer return the the boiler status, but the operation_mode, making this component more standard with Home Assistant climate platforms. The firetv integration has been renamed to androidtv. Users will need to change – platform: firetv to – platform: androidtv in their configuration.This is necessary to avoid having near-duplicate integrations for androidtv and firetv. It makes more sense to call the combined integration androidtv, hence the renaming. 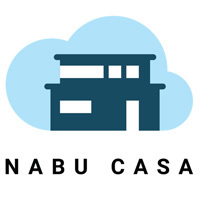 From Home Assistant 0.90, Home Assistant Cloud subscribers will have the ability to remotely access their local Home Assistant installation via a Nabu Casa URL. Using Home Assistant cloud remote access, connections to your local Home Assistant installation are secured using SSL out-of-the-box. No more fiddling with Let’s Encrypt and opening special ports. Starting with Home Assistant 0.90, their is basic user interface restrictions based on user permissions. Thinking about the future of Home Assistant, if I am correct, 0.99 will be out on July 24 as long as two-week pattern holds on. After 0.99, will there be 0.100 or 1.0 on August 7? Is there work being done on a new zwave backend? At what point will home assistant outgrow the rpi as a platform? Has it already happened? Lots of complaints with recent release breaking components which haven't been noted in the release notes. Seems the transition away from yaml config to stored managed config isn't so straight forward. Will the situation get worse before it gets better? Any plans to support multiple yaml files for Lovelace? Love to have one for PC, one for wall display and one for phones.